c) if I went home I would be stuck thinking of all the things that I should be doing, and probably wouldn't be able to relax at all. 2. The LOMME Bed. Created by designer Günther Thöny, this LOMME egg shaped "sleeping pod" comes equipped with built in lights, a sound system, and an iPod dock so you can drift off to sleep with your favorite music. Sold! 5. 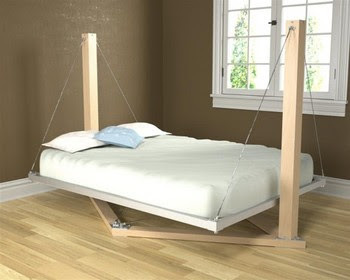 The Suspended Bed. 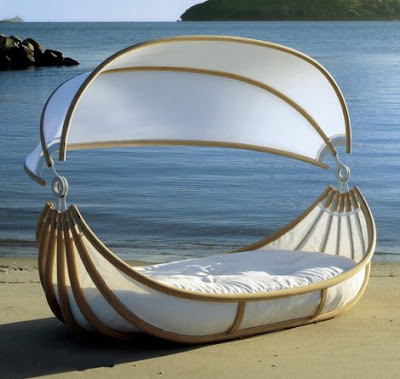 It's hammock meets interior design and I think I could definitely rock myself to sleep in it. 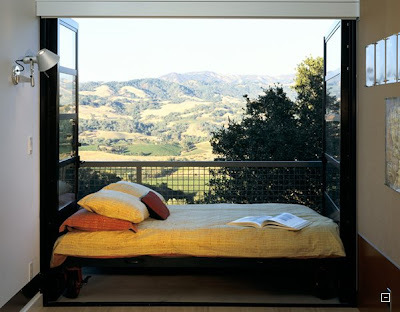 The Suspended Bed is made with a sturdy machined aluminum platform and stainless steel tension cables to keep the bed stable and free from movement. Available in bare aluminum, powder-coated in any custom color, or veneered in any type of wood. Costs more than you want to imagine. 6. The Grand Piano. Designed by Mario Bellini, the Grand Piano bed has a built in side table with your choice of straight or curved lines with glass tops available for drinks and accessories. 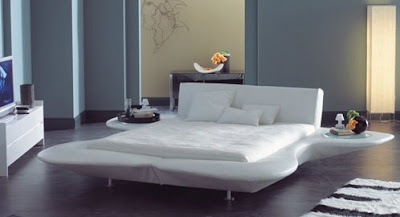 Bellini included cut in areas on the sides for easy movement getting in and out of bed. I really love this bed, although again I wouldn't think it would be recommended for pregnant women or anyone with back problems. 7. 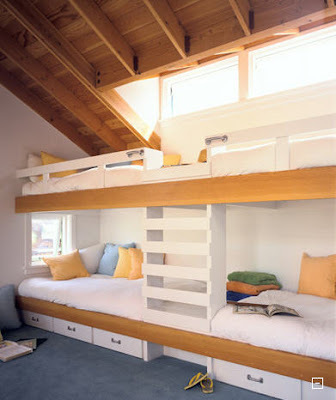 Bunk beds. Bunk beds are awesome and everyone knows it. Those of you who had them when you were kids were cool, and those of us who didn't are still suffering from the long term effects of bed-envy. 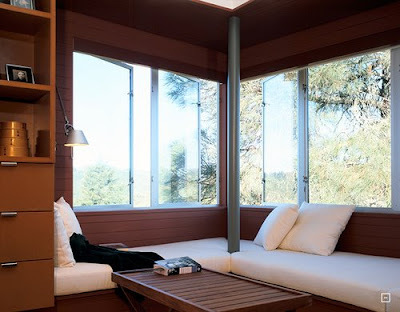 These ones are especially cool because of the windows, but really - bunk beds are awesome and anyone who disagrees is a fool. 8. 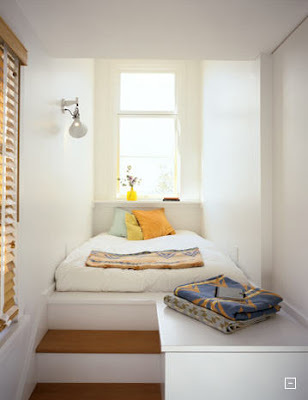 Random Bed I Like. 9. 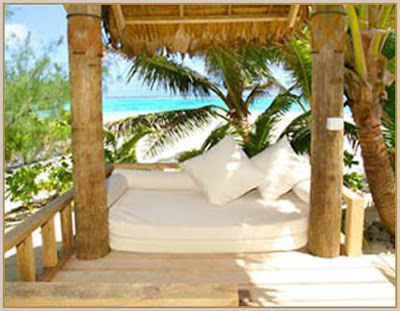 The Indoor/Outdoor Bed. I have no idea who made this bed, but what I do know is that it's an indoor/outdoor bed, one that you can push out when the weather's nice and reign it in when it's raining. It's amazing, brilliant and I need one. I also need a view like that from my bedroom window, but I'll work on that next. 10. The Outdoor Boat Bed. Again, what can I say? It's heaven in a bed.